Take 3 cups of the homemade chicken broth and pour into blender. 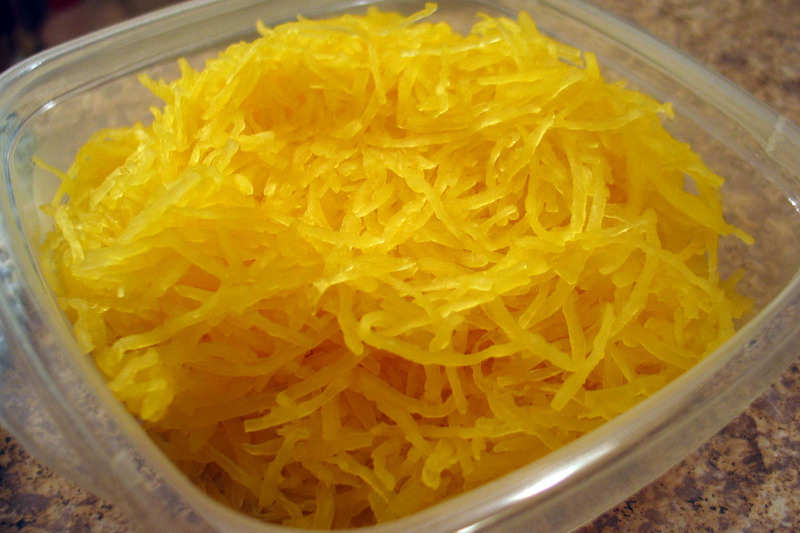 Add 1-2 cups of spaghetti squash. I used about 1 1/2 cups. Let sit. Heat up a separate pan to medium heat and add diced onion and 4 Tbsp of butter. Sauté for a few minutes and add spices: garlic powder, salt, oregano, and pepper. Turn off and let cool. Add to blender. Add sour cream. Pulse for a few seconds (you can add the sour cream later if your soup is warm ~ it will mix right in). I like mine totally smooth, but you could make it a little thicker, pulse less. Pour back into a bowl and mix in the 1-2 cups of chicken broth left over. Store accordingly. We like to eat ours right away. My boys liked it over a bowl of cooked rice. Very Good!